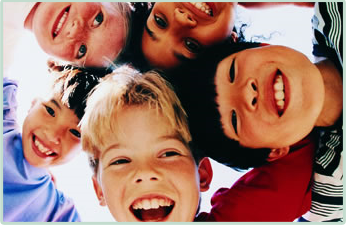 Looking for a Preschool in Coconut Creek? We use a curriculum-based methodology that is hands on. This means that your child will be learning through the actual interaction, or “play”, with the task at hand being guided through the steps by using a thorough educational process. Our curriculum turns every activity into an exciting and enjoyable learning experience for everyone involved, while still implementing important basic school readiness education. We include Kinaesthetic (or tactile) learning and teaching methods and we understand that while some children learn through listening, others learn more effectively through the hands on approach – by actually “getting their hands dirty”. For example, when learning the fundamentals of how to cut out shapes, teachers in other preschools may simply show the children how to cut along lines of the given shape and then provide the children with an already printed shape to attempt to cut out. At Providence Children’s Academy, we start right from the basics and teach the children to first draw the shape and then cut it out. What this exercise does is include creativity, motor functions, maths (as we count how many sides the shape needs), and vocabulary and literacy skills through identifying, naming, and writing the name of the shape they are working on. Where other preschools have been known to merely provide instruction for the learning process to a class of children, we make sure we identify the most effective method that each child learns through and allows the child the opportunity to excel in their own personal capacity. Providence Children’s Academy is a family owned and operated school. The premise is simple: when you own something yourself, you take care of it in a better way than an external person who is just coming to work for a paycheck. As a family, we are 100% committed to the success of the children and we take great pride in having built a reputation as a school that holds strong family values at its core. It is because of this that our school has been identified as one of the best schools in Coconut Creek. Our school obtained an incredibly high scoring during its first year of operation 2010-2011. We understand the importance of individual attention – even when it comes to summer camp! Where most schools will have 100, 120, to 140 children in their summer camp classes, we like to keep things small so that we can focus on the individual child. At our school we use a toxin free, anti bacterial rubber material on the playground. Most schools use wood mulch, which can be a chocking and health hazard as the chips easily find their way into children’s hands and mouths when they are playing. Our surface is about 2.5 inches thick, made out of rubber, and is a very soft surface that is secure for children as they play and tumble around the playground area. Our school has installed a fully-integrated intercom system. In the unlikely event of an emergency situation arising, your child will be kept safe through a specially designed emergency procedure. We teach all the children to make use of safe emergency steps such as moving to a safe space, hiding, and remaining quiet until it is safe. If you have any questions we would like to invite you to come through to our preschool – Providence Children’s Academy – take a tour of the school, and meet with us in person.